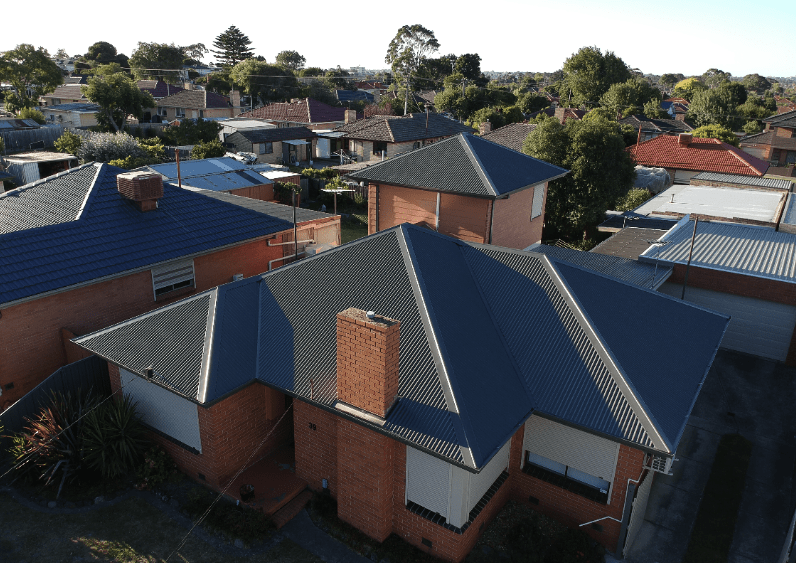 If you are searching for a professional roofing company to install or repair a Colorbond roof, Sandhurst Roofing can help you – call 0448 812 800 for a competitive quote. Pressure clean the roof to remove any dirt, mould or grime so the surface of the roof is clean. All roofs deteriorate over time and will eventually need to be replaced. If you have a tile roof and you notice cracked tiles or the mortar falling away its time for either maintenance or a new roof. 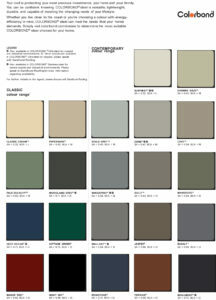 If you would like to explore the Colorbond options, get in touch and we can discuss what you want. 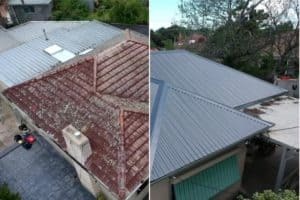 Colorbond roofing sheets are a popular choice for homeowners wanting to update their roof because of the products durability, longevity and curbside appeal. Increased home value – the appearance of a Colorbond roof greatly improves the look of your home and will add value. Low maintenance – a Colorbond roof will rarely need maintenance for decades. Light weight – there will be less weight on the structure of the house than tiles, reducing the possibility of structural problems. 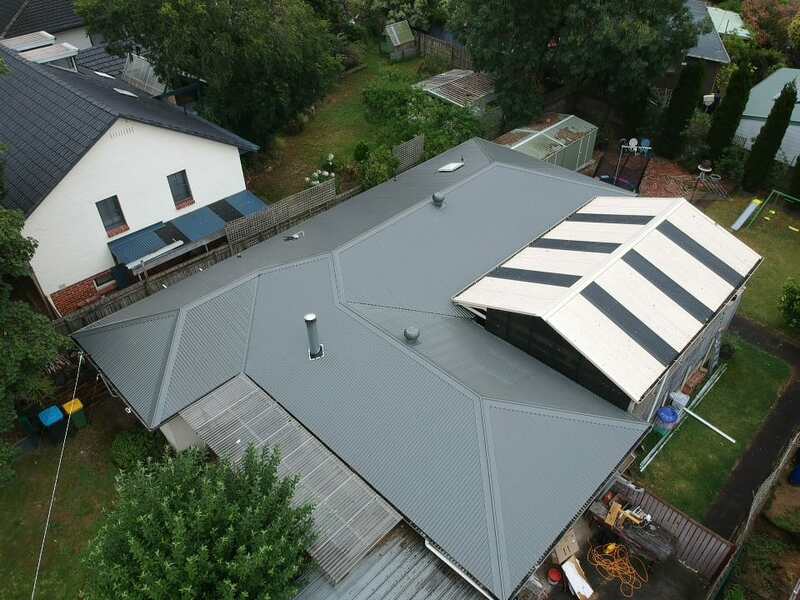 Superior insulating qualities – Colorbond stays cool in summer because of its reflective coating and with the correct installation it can hold the heat much better than a tiled roof in winter. More Secure – because the roof sheets are screwed to the rafters, it makes it more difficult for vermin and thieves to enter through the roof. Colours and style – there is a broad range of colours to choose from in a variety of profiles that will suit any property. Colorbond steel is strong, secure and energy smart. 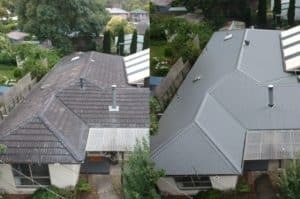 It is tried and tested in Australian conditions and with 22 colours in the range, there will be a roof colour for your style of home and lifestyle. Our tradesmen are licensed and registered and we guarantee our work with a certificate of compliance issued by the plumbing board, once the job is complete. If you a looking to get a new Colorbond roof, call Sandhurst Roofing on 0448 812 800 to discuss your individual requirements.